Since we first started operating in 2004, Staysure has put its customers at the heart of everything we do by ensuring our products meet and exceed their requirements. Following suggestions from our customers, we worked with our underwriter ERV to further develop our travel insurance offering. We increased cover limits, enhanced our winter sports cover and added cancellation cover to our Basic policy. The culmination of this work is a range of high-quality products which includes a Defaqto five-star rated Comprehensive Travel Insurance policy for both single trip and annual multi-trip products. 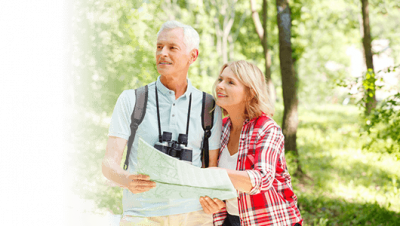 To enable more customers to get and continue their coverage with us we worked with our underwriter to completely remove the upper age limit on both our Single Trip and Annual Multi-Trip policies. After finding out that our customers take an increasing number of high value gadgets, such as e-readers and tablets, with them on holiday we introduced Add-on Gadget Travel Insurance. Currently available as an optional extra to customers purchasing comprehensive policies, this product offers cover up to £1,000 for an unlimited amount of portable electronic gadgets. After customers suggested that our policy document was a little unwieldy, we improved it. Our updated policy document, which has been shortened by 12 pages and has 6,487 fewer words, provides the information our customers require in a more concise and easy to digest format. We have been continuously developing our website to make it easier for customers to navigate through and get quotes in the simplest way possible. We found that many of our customers want to talk to a customer service representative without picking up the phone so we recently introduced a live online chat facility to the website. We found that our customers’ medical conditions often changed after buying their policy, however, in some instances they forgot to inform us of any new developments. To help our customers keep up to date, we introduced an Automated Mid-Term Amendment scheme. The scheme reminds customers via a letter to update their medical information with us every six months to ensure they have the appropriate level of cover. We offer 24-hour worldwide emergency assistance to our customers and our approach is to encourage them to get in touch with us a soon as possible. Some of our policy holders let us know that it was costly if they had to call us from the USA and Canada so we introduced toll-free numbers to lower this cost as much as possible. Many of our customers told us that they don’t want to repeat the process of buying their travel insurance over the phone or online and wanted a more simplified renewal process. To help our customers we launched an Auto Renewal service to ensure their cover continued without the need to call or email us. If you have a suggestion or would like to leave us some feedback about our products or service, please get in touch.